Millennial men are losing their hair and going bald sooner than ever before. Typically, hair loss and balding are associated with aging, but young people, especially in their 20s and 30s all around the globe are experiencing an increasing amount of hair loss. In a study conducted in China of 4,000 university students, 60 percent of the participants indicated some amount of hair loss, and 25 percent noted a receding hairline. 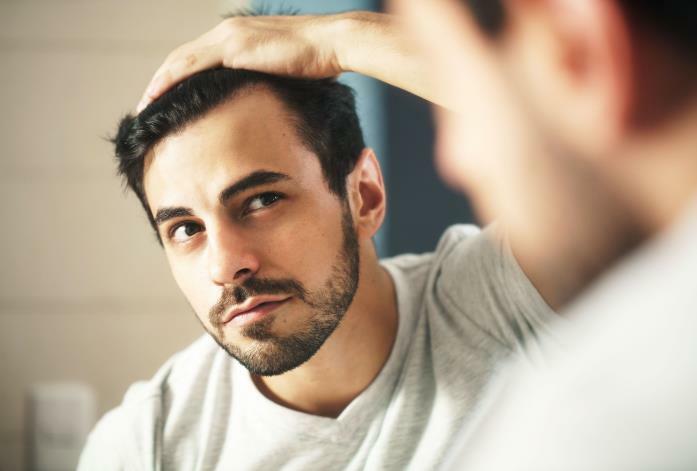 According to the American Hair Loss Association, approximately 25 percent of men, who are affected by some form of hair loss, report their first signs before they reach 21. Experts believe there are several reasons for this increased hair loss in millennials. Common factors include genes and heredity, hormonal changes in the body, nutrition and diets, irregular lifestyle patterns or behaviours, insomnia, and stress. Young men and women are increasingly under stress, whether it be concerns over work and employment pressures, finances, maintaining relationships, or even caring about their appearance. “Though we know hair loss is something that happens in everyone as they age, it can actually be caused by several different factors, including genetics and chemical issues in the body. Wayne Rooney famously had his first hair transplant for male pattern balding in his 20s to deal with his thinning hair in 2011” Dr Knudsen added. “With over 30 years’ of experience as a hair transplant surgeon, I know how difficult the subject of hair loss can be to speak out about, especially when individuals feel like they are the only one facing it. “However, seeking help early and preventing further damage is the most effective and easiest method to combating hair loss. “This is why it is important to seek medical professional help to pinpoint the exact cause of the hair loss and the most effective way to stop it. “The market is full of products which promise solutions. In my opinion, the most effective treatment is with the help of a medical professional who specifically deals with hair loss. “For many people, self-help solutions seem cheaper and easier, but many of these products are ineffective for individuals as they aren’t specifically designed for them, have dubious evidence claims and require long term use. Cosmetic clinics may also seem like an easier path to treatment, but they only offer consultation services.